During Prohibition, Smiley's Schooner Saloon in Bolinas painted all of its windows black, except for one. Through the lone clear pane, townsfolk going about their daily, 1920s-era business saw all the set dressings of a barber shop. What they didn't know—or likely did—was that the other windows concealed a back door out of the law-abiding tonsorial parlor and into a free-flowing Elysium of gin. So goes one of the many tales about the white, Victorian-style coastal saloon, reportedly founded in 1851. According to local lore and carved into website legend, the one-time speakeasy has also been a hangout of Al Capone, a pizza parlor, post office and bait shop (at different times); a pooch-friendly establishment and the oldest continuously operating bar in California. The notorious saloon was founded by Isaac Morgan, a captain who arrived in the town that came to be known as Bolinas (but was then Jugville) in 1849. The Gold Rush–era entrepreneur also purchased the property that would come to be known as Stinson Beach in 1852, where he harvested timber, built boats, raised livestock and grew apples. Smiley's current owner, Don Deane, purchased the bar and hotel in 1990. In a town that was mostly a hippie enclave through the '60s and '70s, Deane describes his entrée into the community as a "little bit of an exception." At the time, he was a supervising probation officer and says he was initially greeted with suspicion and mistrust. Yet through his posts in local organizations, his publishing of a local newspaper, the Coastal Post, his position as a foster parent and his eventual acquiring of the landmark watering hole, he's certainly found his place in the community. Deane describes the bar as a "continuous thread in Bolinas' history." When asked for legends, Deane affirms Al Capone's visit to the town, saying he stayed in a house on the corner of Brighton and Altura streets. He doesn't know why the nefarious gangster showed up for a slice of village life, but speculates he may have been laying low. Smiley's offers live music every week in its tiny space. Musician Henry Nagle, no stranger to Smiley's worn-wood room, describes it as a "post-apocalyptic, Old West movie set. If the Eagles weren't so materialistic and vain, 'Hotel California' might well have been written about this diamond in the rough." Smiley's Schooner Saloon, 41 Wharf Road, Bolinas. 707.868.1311.—R.D. Call it "the Menu That Time Forgot." Stormy's, the venerable roadhouse established in 1854 in the tiny west Sonoma County outpost of Bloomfield, is a proud throwback to the time when red meat, baked potatoes and a full bar (not necessarily in that order) defined a quality night out. A family-run steakhouse since the early 1970s, Stormy's remains renowned for its platter-sized prime rib, a carnivore-delighting 16- to 18-ounce slab of beef proudly out of step with contemporary culinary trends. But come early for that entrée; it regularly sells out, which leaves a choice of steaks and other basics (chicken, seafood, mostly fried). "Nothing here is portion-controlled," a hostess advises cheerily. Not a destination for the faint of heart (or appetite), this is a place to settle in, chow down, and stagger out well-stuffed. 6650 Bloomfield Road, Bloomfield. 707.795.0127.—B.R. If I were ever to dabble in Civil War reenactments, I'd definitely recreate the great 1865 Sonoma County Battle-That-Never-Was. In those days, Petaluma was a Union town, while Santa Rosa was (gulp!) rife with Confederacy lovers. After the Petaluma Volunteer Firemen's Brigade got all riled up to fight those rascally Southern sympathizers, they piled on their horses, making it only as far as the Washoe House, where they stopped to do some frontloading. By sunrise, still drinking hard, the battle had been lost to a haze of stiff whiskey draughts. My reenactment would be called "My Posse's at Washoe," and we'd feast on hamburgers and canned green beans, and pin dollar bills to a ceiling already rich with dusty money. We'd marvel at the county's oldest roadhouse, and how it's been there since 1859. We'd talk about how the place had once been a brothel and a stagecoach stop, and we'd drunkenly debate whether Ulysses S. Grant had actually made a speech from the balcony. We'd toast Edith and Bill Drew for reviving the place from restaurant death in 1974. And we'd drink until the roosters crowed us into dawn, just like legions of posses before us. 2840 Stony Point Road, Petaluma. 707.795.4544.—L.C. A step inside Butter Cream Bakery & Diner is a step back in time, to the 1950s, when soda fountains and lunch counters reigned. 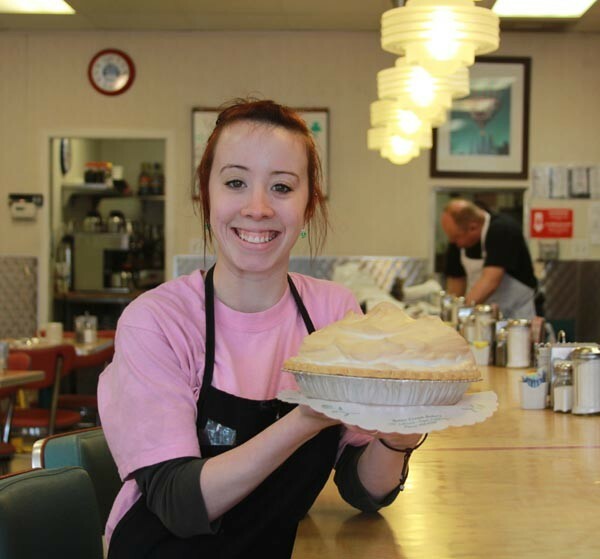 But there's no need to conjure images of yesteryear, because the real deal lives on at Butter Cream, founded in 1948. The pink-and-white striped exterior is smack-in-the-face retro, with an interior that keeps the old-time feel rolling right along with the dough. Ingredients are fresh, many grown and sourced locally, and the stats are staggering. On an average day, Butter Cream serves 300 eggs, produces 230 doughnuts, uses 150 pounds of sugar and on weekends serves as many as 480 people. No wonder baking starts at 11:30pm the night before. The shop's tagline, "Being sweet to you is our business," is fitting. Whether it's doughnuts and pies or crullers and cupcakes, nothing disappoints. But it's the birthday cakes that have been silencing screaming children and satiating adults for decades. The liberal doses of butter-cream frosting do the joint's namesake right—heady yet light, down to the very last bite. In 2001, original owners David and Bobbi Closs, along with son Gerry, gave the shop a complete restoration, keeping the signature pink-and-white stripes intact. What's the icing on top of this very succulent cake? Pricing is a sweet deal if ever there was one. More noteworthy is the bakery's donations of food and funds to organizations like the Napa Food Bank, Hospice of Napa Valley and the homeless shelter. Giving back never tasted so sweet. 2297 Jefferson St., Napa. 707.255.6700.—C.J. There's a classic hideaway on Guerneville's main drag that has kept its dimly lit doorway glowing for 72 years straight. Pat's Restaurant and Bar is one of the oldest eateries in town and a staple of the Russian River community. Pat Folkins opened the place in the spring of 1940, but the building was promptly flooded the following winter and then practically destroyed by fire shortly after. In 1943, Harry Hines bought the remaining facade only to find out he couldn't replace the neon sign with his own name because materials were rationed during the war. So the name stuck, and the place has been serving up early-morning breakfasts to fisherman and late-night cocktails to locals ever since. Above the pie safe in the diner hangs a giant map of the Russian River showing fishing holes and secret ripples. Rich Hines still runs his grandfather's kitchen and makes the only garlic breakfast salsa this side of Kings Ridge. And in first-rate-dive fashion, the bar next door has one of the best jukeboxes on the river, where Jo the barmaid has been keeping locals like the E Clampus Vitus happy for decades. 16236 Main St., Guerneville. 707.869.9904.—J.O. Historically renowned for getting folks sloshed, Mill Valley's 2am Club has captured the hearts and livers of local barflies and ramblin' boozehounds since cracking open its first liquor bottles in 1906. Originally known as the Brown Jug, the tavern operated on the outskirts of Mill Valley—then a dry town with a midnight curfew—where locals unrestricted by civic policy could inebriate themselves after hours. In 1920, the Jug, lambasted in the drought of Prohibition, converted its barroom to a feed shop, but by the 1930s returned. To assure patrons of its late-night hours, it was rechristened the 2am Club, a Marin sibling of Santa Rosa's downtown 'Til Two bar. A half century later, the Club, locally nicknamed "the Deuce," landed on the cover of Huey Lewis and the News' smash album Sports. In the photo, behind a tuft of Lewis' hair, Charlie Deal's "toilet seat" guitar hangs above the bar, where it remains as a landmark today. 380 Miller Ave., Mill Valley. 415.388.6036.—M.S. It might be poetic to write that the Pasta King is Art Ibleto's alter ego, but it wouldn't necessarily be accurate—Art Ibleto is the Pasta King, inside and out. 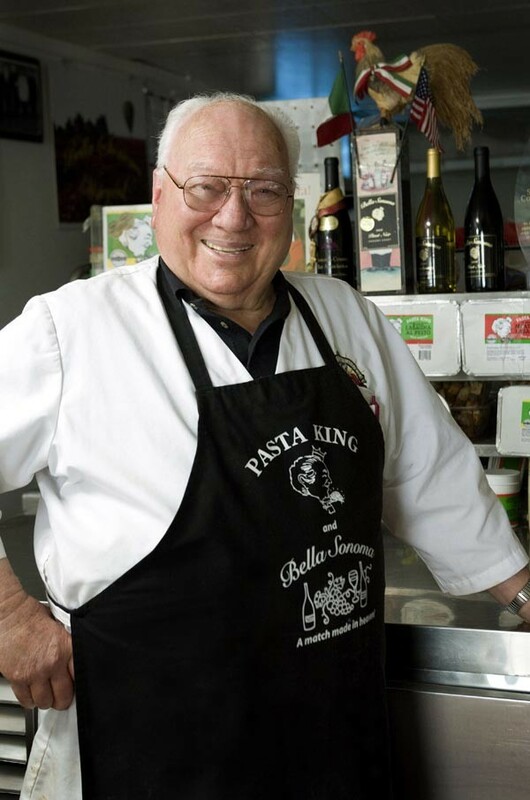 The 85-year-old sovereign of spaghetti is best known for his thriving catering business, his plates of penne at community events and a now-iconic pasta stand at the fairgrounds in Santa Rosa. He's also beloved for donating his services to local charities and fundraisers. A generous heart and a wide smile accompany a hearty handshake upon greeting the King, who trades a scepter for a wooden spoon and the requisite royal cape for a blue apron. Ibleto's story is worthy of a king. In World War II, he was drafted into Mussolini's army, escaped and joined the resistance against the regime. He avoided detection in the hills above his hometown, Sesta Godano, by hunkering down in a hole for a week with no food. He came to Sonoma County from Italy in 1949, and picked zucchini on Pepper Road. He bought 10 acres in Cotati in 1961, and through the years has owned a Christmas tree farm, butcher shop, hog farm and a car dealership. He's also dabbled in the wine industry of late, garnering several awards for Pinot Noir grown just outside of Cotati. But above all, Ibleto and his pasta are linked forever. That smiling face on pesto containers in the grocery freezer? It's more than just a logo—it's a Sonoma County legend. 1492 Lowell Ave., Cotati. 707.792.2712.—N.G. In the 1960s, the restaurant on the hill above Montgomery Drive was known, appropriately, as the Hilltopper. The Hilltopper was a popular, family-friendly joint, but by 1976, when Southern Italian transplant Gaspare Bernardo signed a new lease with the building's owner, it had fallen into disrepair. Bernardo opened up the Villa in its place, and it was here that the county's movers and shakers converged for boozy, hours-long business luncheons, and where evenings brought live bands and disco dancing in the bar, relays family friend Christina Palenchar. The restaurant today has the yesteryear feel of a prom queen all grown up ("People just don't drink the way they used to," says Palenchar, almost mournfully), and with its attendant service, expansive menu and tradition of two-for-one deals, it's still wildly popular. On a Monday afternoon, two young women sit drinking wine on the revamped outside patio, enjoying the views of Sonoma Valley and Annadel's green hilltops. Inside, families and elderly couples sit among the faded posters of Italian tourist destinations, tucking into garlic bread and spaghetti. You'd be hard-pressed to find anyone under 55 among the Happy Hour crowd in the bar, aside from the waiters and the bartender. A gruff-voiced man asks the bartender for a vodka and cranberry to go. 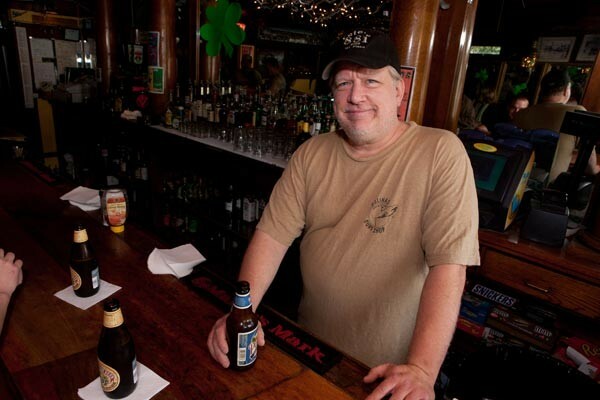 "Tom," says the bartender with a laugh, "that joke's getting old." 3901 Montgomery Drive, Santa Rosa. 707.528.7755.—L.C. There it is, less than a mile from downtown and as noticeable as the Great Wall of China: Imwalle Gardens. Looking at it from a satellite map, it's a big green area surrounded by development. Looking at it up close and in person, as locals have done since 1886, it's an island of farmland that's survived the changing times as a beloved produce stand, nursery and farm. Here you'll find greenhouses, raised beds, seeds, homemade jams, bulk nuts, potting soil, tomato starts, flowers, lemon trees—you name it—from a family crew rooted in four generations of knowledge. I've been coming to Imwalle for 20 years, and I almost always leave wondering how my big bags of produce can cost so little. I also leave wishing that someday, I'll drive the teal blue 1952 Plymouth Cranbrook Coupe that's parked out back. Someday. 685 W. Third St., Santa Rosa. 707.546.0279.—G.M. Arturo Inverneste doesn't like change. 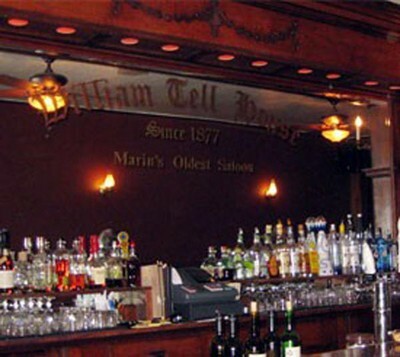 Inverneste was a man who liked to drink, and his bar of choice was the William Tell House in Tomales, founded in 1877. When he stopped in for a drink on Saturday nights, "the usual" was a quart of Old Crow and a pint of brandy. In the 1930s, Inverneste was a ranch hand on nearby Whittaker Ridge, just up the hill from the 135-year-old bar and restaurant. He's long since dead, but his memory lives on in his favorite watering hole—and so does his ghost. Local legend says if his photograph is moved from its spot of honor, above the fireplace, Inverneste gets angry and breaks things. Like bottles. Marcos and Doris Pareas of Dillon Beach bought the business nine months ago, and are giving the place a thorough overhaul—new windows and carpet in the dining room, new kitchen equipment, a new coat of paint outside and a remodel of what used to be a brothel upstairs, which will now be used for storage and the occasional guest. The original William Tell House burned to the ground in a 1920 fire and was rebuilt shortly thereafter. "We're trying to put it back as close as it was to the original," says Marcos. But he's learned to be careful about it. Marcos had heard of Inverneste's ghost story but didn't believe it, so he moved the aging photograph. He was alone, and the place was locked, but somehow two bottles were broken behind the bar. He's also heard a story from two long-time patrons who said they once saw the photo fly out from the wall, shattering the glass over Inverneste's sober face. In spite of all the change at the William Tell House, Pareas is trying to keep things close to the way they were. And Inverneste is staying right where he is. "He's happy here," he says. 26955 Hwy. 1, Tomales. 707.878.2403.—S.H. There once was a man from Moravia, who, in 1960, opened a restaurant called Vladimir's Czech Restaurant in a quiet little town on Tomales Bay. For more than 40 years, Vladimir Nevl dished out dumplings, rabbit stew and his own brand of local color in relative obscurity. Until social media came along. "Horrible establishment!" said one food blog commenter. "One of the true gems," countered another. "What a strange man, and what a bad restaurant!" "Such a great restaurant! And the owner is simply amazing and very very nice." "Avoid this restaurant at all costs." Who, among these bloggers, Yelpers, locals and tourists to believe? The point is moot: Nevl passed away in 2008. Now the restaurant is under management by his daughter, who carries on the family tradition, for better or for worse, depending on whom you ask. "WARNING," begins the most recent review . . . 12785 Sir Francis Drake Blvd., Inverness. 415.669.1021.—J.K. Since 1952, Mac's Delicatessen has been a mainstay for the downtown Santa Rosa business-lunch crowd. For years, Rosenberg's department store owner Fred Rosenberg could be seen entering the place every day, a fresh rose in his lapel, ready to sit in his always-reserved booth. When Bill McNeany took over the iconic downtown department store? He, too, ate at Mac's. Other businessmen followed. Benny Friedman, of Friedman Bros., came in so often with his wife Rosemary that they named a salad after her. Mac himself left the downtown spot after just two years, and while no one can remember his last name, his first name has stayed on the awning. Operated by Iraj Soltani since 1970, and now with son Toraj, the venerable lunch counter boasts over 45 sandwiches, an excellent waitstaff and, helping you choose it as your pick for Best Deli in Sonoma County, the appropriately named "Merchant's Special." May it live to see a thousand more fresh lapel roses. 630 Fourth St., Santa Rosa. 707.545.3785.—G.M.